Lead Crystal Barrel Panel Tankard. Available in 2 sizes, Small (0.45ltr) measuring 112mm x 87mm and weighing 460g unboxed. Large (0.59ltr) measuring 117mm x 95mm and weighing 620g unboxed. 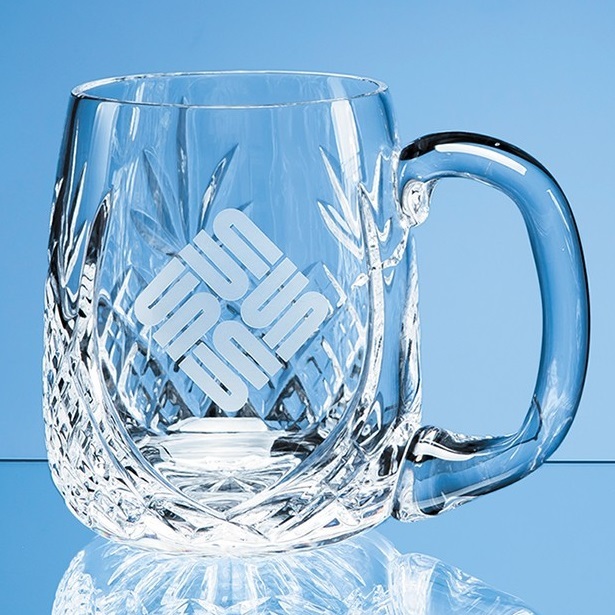 Say ‘thank-you’, commemorate a personal or corporate event or occasion with this traditional lead crystal Barrel panel tankard. With a classic diamond and wedge cut pattern, it incorporates a space to engrave a message, crest or logo it is sure to take pride of place at home or in an awards cabinet.